The Union Minister for Women and Child Development minister was addressing a public gathering at Turabkhani area of Sultanpur. 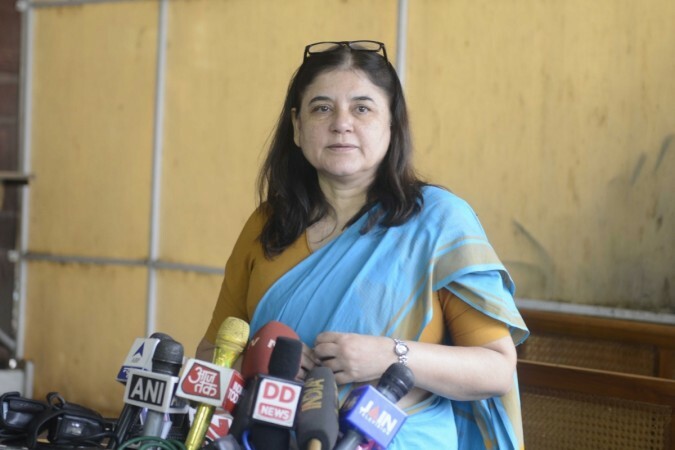 Union minister and Bharatiya Janata Party (BJP) leader Maneka Gandhi has sparked a major controversy after she threatened the Muslim community at Sultanpur in Uttar Pradesh. In a video that has gone viral on social media, Maneka Gandhi can be heard saying that if the Muslims don't vote for her, she will not respond to their requests. The Union Minister for Women and Child Development minister was addressing a public gathering at Turabkhani area of Sultanpur. She said she is going to win the elections anyway, but victory without the support of the Muslims there would be a peevish feeling. "If the Muslims came to me for some work after that I will think why bother? Because employment is a negotiation, after all, isn't that right? We are not Mahatma Gandhi's children to give something without expecting anything in return," Maneka Gandhi said. She further said that she is extending a hand of friendship and anyone who has a doubt over her ability can call and ask the people from Pilibhit (her former constituency). The minister concluded her speech with a threat that she has already won the elections but the people from Sultanpur will need her. "This is your chance to lay the foundation. When the election comes and this booth throws up 100 votes or 50 votes, and then you come to me for work we will see... do you all understand?" she added.